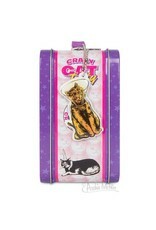 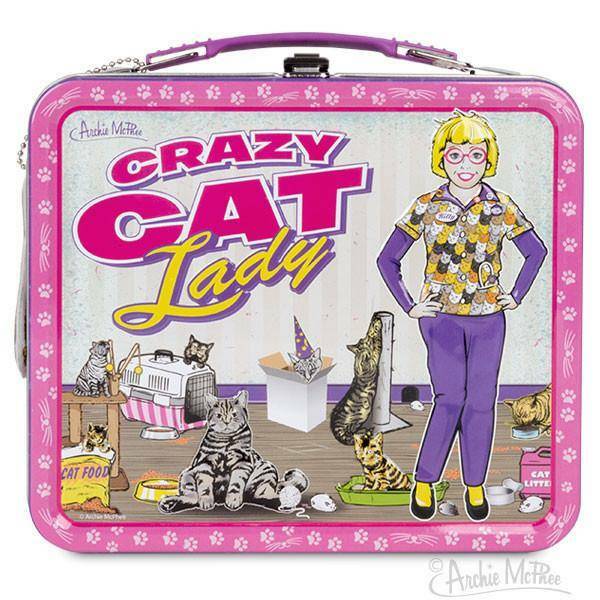 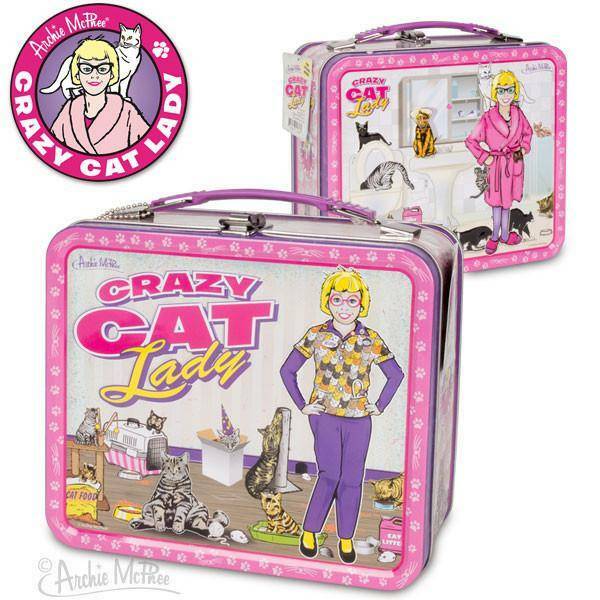 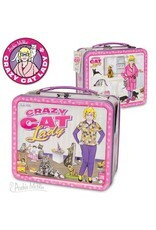 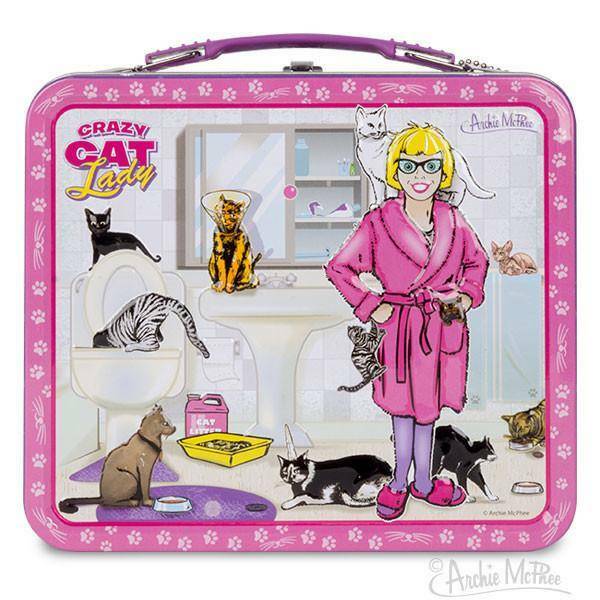 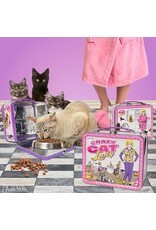 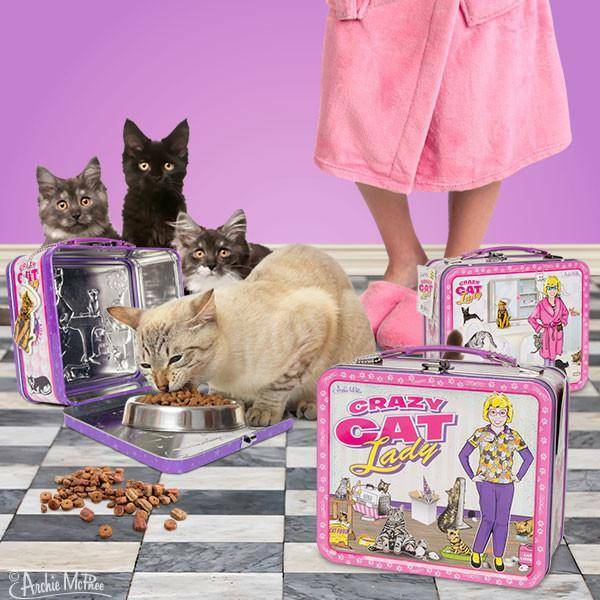 Sure, you could pack your own lunch in this and advertise your status as a Crazy Cat Lady, but you know darn well it would be more properly used to carry catnip, treats and some yarn. 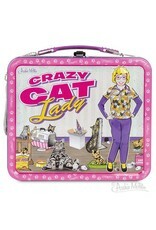 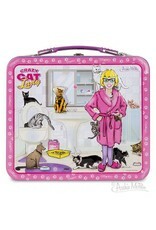 This 8 x 7 x 4 metal lunchbox with a plastic handle is best used in service of the most important thing in lifecats. 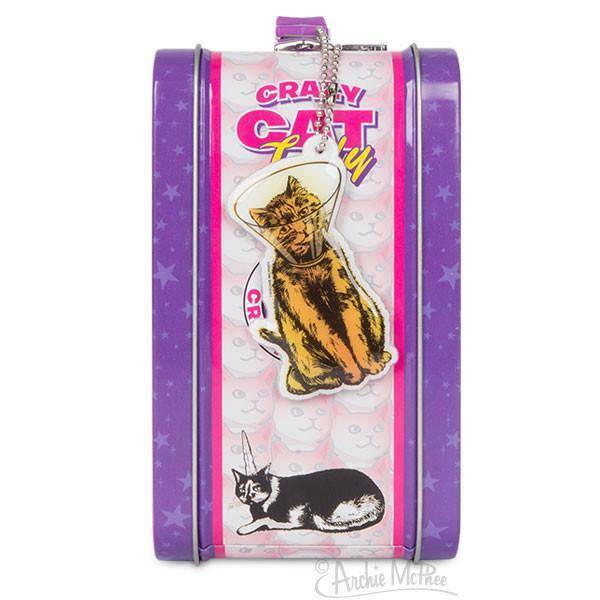 Includes a vinyl dangle and a FREE STICKER!